Mayor David Coss of Santa Fe, recently came by to artist and Pojoaque Governor George Rivera’s studio to witness the completed commemorative Leroy Petry Medal of Honor sculpture to be installed at city hall in June. US Army Ranger Sgt. 1st Class Leroy Petry received the nation’s highest medal for valor, the Medal of Honor on July 12, 2011. 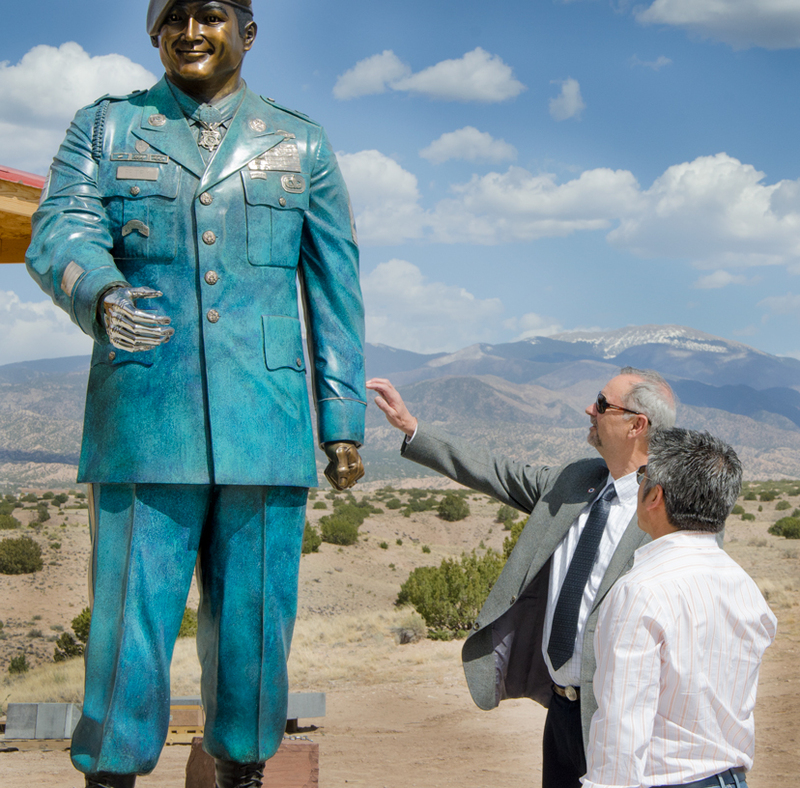 The story of Leroy Petry has inspired the Pueblo of Pojoaque to invest in the completion of a commemorative statue to salute his virtuous actions. In creating the stature, Pojoaque hopes that future generations will be encouraged to follow the admirable actions of our local hero – Leroy Petry. 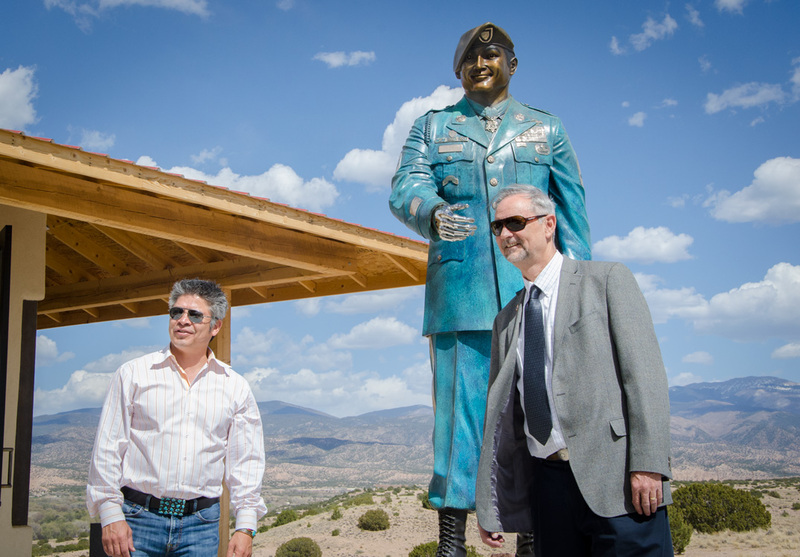 The dedication of the Sargent First Class L. Petry – nine foot tall bronze sculpture will take place on Monday, June 24 2013 at 10:00am and will be held in front of City Hall on 201 W. Marcy Street in Santa Fe.